Monica loves spending time at home with her family. Unfortunately, her home has not always been a safe place for her children to grow and develop. Monica’s two year old son, Kyle, was diagnosed with elevated blood lead levels due to the presence of lead in their apartment. Despite her landlord’s assurance that he fixed the problem, repeat testing revealed that Kyle and each of his seven brothers and sisters had dangerously high blood lead levels. Concerned about her children’s wellbeing, Monica immediately began looking for a safe place for her family to live. At the same time, Monica’s doctor at Erie Family Health Center contacted the Health Justice Project, a medical-legal partnership between Erie Family Health Center and Loyola University Chicago School of Law, where an advocate was assigned to her case. Monica wanted to make sure her family could move into healthy housing without losing the Section 8 Housing Choice Voucher that helped pay their rent. To help Monica break the lease and keep her voucher, the Health Justice Project worked with an Erie Family Health Center Nurse Practitioner to submit a reasonable accommodation request to the Chicago Housing Authority (CHA). The request, which was approved by CHA, allowed Monica to transfer to an apartment where the children’s growth, neurological development, and endocrine systems would not be compromised by the presence of lead. During the course of representation, the Health Justice Project uncovered that routine property inspections do not include lead assessments. This means that families housed through CHA programs could be approved to move into housing that presents lead poisoning risks like in the home Monica and her family were occupying. To ensure the health of Monica’s family, the Health Justice Project secured a Lead Hazard Home Test from the Chicago Department of Public Health in Monica’s new home. Test results showed no threat of lead exposure in the new apartment and Monica and her children were able to move in immediately. When the Health Justice Project advocate called Monica a few weeks later to check in, she immediately noticed a change in Monica’s demeanor, “Every time I had spoken to her before, she sounded stressed and worried and preoccupied. But this time, she was really happy about the situation because she was finally in her new place and she knew that lead wasn’t a hazard anymore.” Unfortunately, Monica is one of the many tenants who experience the negative health effects caused by unsafe and unhealthy housing in Chicago. 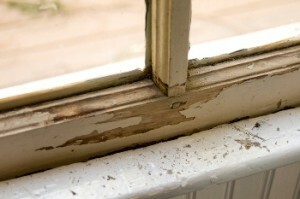 Lead poisoning causes irreversible damage to the brain and nervous system development, which may result in learning disabilities, behavioral problems, developmental delay, seizures, and comas. Ultimately, these health conditions can lead to other social implications including academic failure, juvenile delinquency, and high blood pressure. 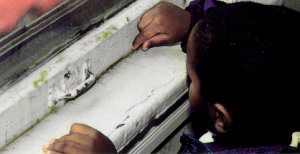 If Monica’s home had been inspected prior to their move-in date, her children could have avoided the lead exposure altogether. Instead, because of a lack of healthy housing policies, she and her children were exposed to dangerous levels of lead for years. Many cities across the United States are adopting best practices to avoid the health-harming effects and social implications of unsafe housing. We want Chicago to join in to help create and maintain a healthy housing stock for all our communities. The Chicago Healthy Homes Inspection Program is an initiative designed to enforce building code standards which will protect renters from health hazards in their home. To protect your own family, and other families from the negative effects housing can have on their health. 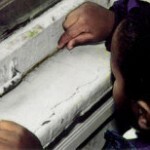 Read more: Chicago Healthy Homes Inspection Program (CHHIP).